Just want to wish you all a Merry Xmas for 2010, I apologise for the lack of updates recently – but I’ve been super-duper insanely busy. I’ve hardly had time to be at the computer at all. 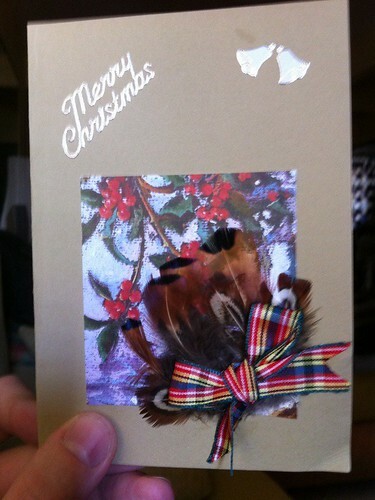 Here’s a hand-made xmas card my Mom sent me all the way from the UK – thanks Mom! EveryoneConnects Manchester United Vs Chelsea Viewing Party! 4 Responses to Merry Christmas 2010!